Excellent app. Loads quickly. Intuitive to use. 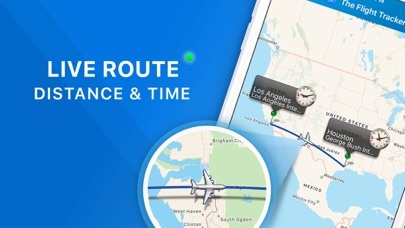 Provides immediate access to the most pertinent information through a flight's timeline. Thank you for providing the right information to make every trip successful. 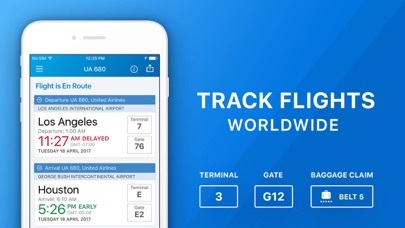 The best app for tracking flights ever. Non can compare. Thank you FlightTracker. Seriously, the best tracking app bar none. I’ve had this app almost as long as it’s been available. I had it when it was free, and I had it when it was kinda/sorta “free.” Then I paid for it. (05/08/2017 for any doubters.) It has been OKAY — usually “pretty”’accurate for take-off/landings/gates — and I mostly use it to track flights/airlines of friends I’m not booked on. But for flights/trips I AM booked on, the data is often not available/accurate for DAYS after my airline has advised me of a change. This is inconvenient (to say the least) and can be really frustrating if one only looks to the app for flight data information. NOW — having paid for the update/upgrade, they’d like me to SUBSCRIBE. Fine, if you don’t mind paying for not-up-to-date data and not-reliable information. (Texting yourself the flight# yields better info on iOS for FREE.) And They do not answer their customer service inquiries! Even the ones that ask how long one should expect to wait for their “real-time” data to be UPDATED. So for me, I have the limited, late paid-for app, but cannot recommend paying what I have already EVERY MONTH without true real-time updating (& messaging) and reasonably responsive customer service. 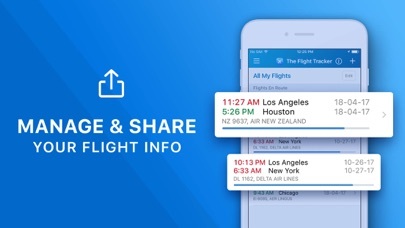 For current flight status, just text yourself the flight number and force-touch the link in iOS — it’s FREE and UP-TO-DATE w/o having to SEARCH through old flight numbers or fumble through inaccurate flight numbers for future flights. A subscription here will not help with future flights or timely customer service. Flight Tracker is a great app for watching my daughter make her flights around the world. It is easy to use and very helpful keeping track of arrivals, departures, and timetables. I’d recommend verifying your flight times and NOT relying on this app! Currently tracking a couple of flights for friends and the app has yet to update to the correct times as shown by the carrier! One in particular is departing significantly earlier than what Flight Tracker is showing!